I Just bought a new, larger Samsung S-Pen with eraser. It works great and the size makes it much easier to use the button. I have the same pen and use lecturenotes and the eraser works for me. I bought the Wacom CS-300 Bamboo stylus for Galaxy Note. Comfortable to use and very happy with it. Nope, just press down to engage the eraser. I have used it in S Note and Sketchbook. I'm lecturenotes you have to change the settings. Button one should be the eraser end, but you may have to experiment. Personally, I don't find it to work as well as the spen. There is sometimes a delay. My s pen works flawlessly and this has a little lag. 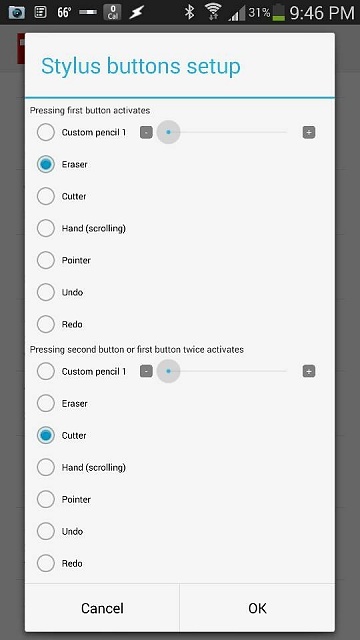 @Grimgrak: If your device is able to detect the eraser end (so that input events send by Android carry `eraser as `tool type) and you enable `use stylus (hardware detection) in LectureNotes' input settings (as you should do for an active stylus), the eraser end should work independently of LectureNotes' stylus button settings. 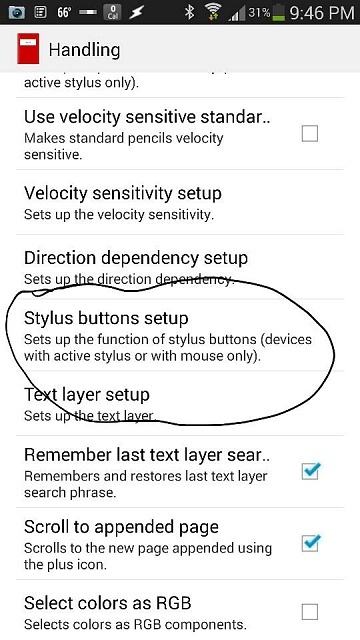 If the stylus is constructed such that the eraser end is actually a stylus button, then you need to proceed as described by GANote3. 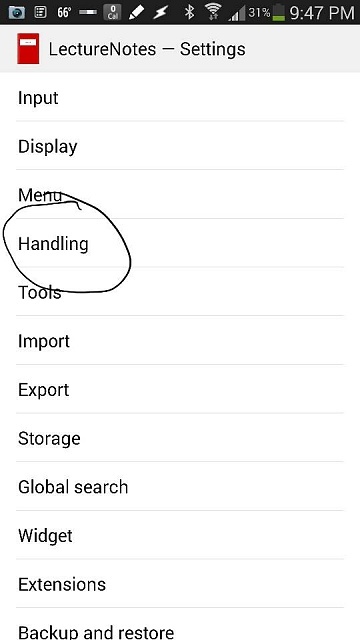 Samsung Galaxy S3 on 4.3 - enabling mass storage? New free game more fun than ever "tri flap hd"
Can I open a new line to get discounted price then switch to basic phone? Did Samsung Improve the Galaxy S5 Radio?